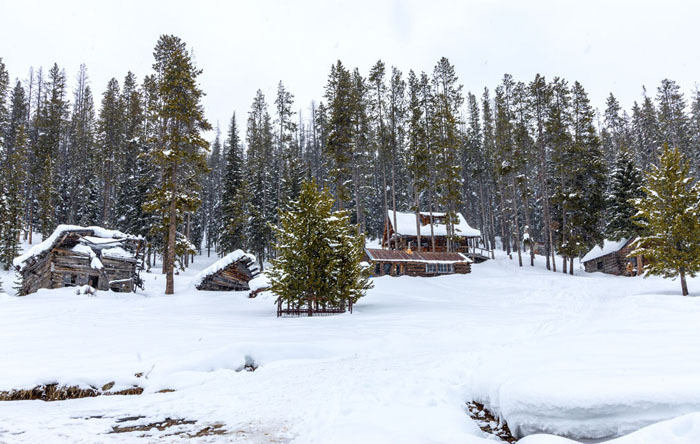 Caption: Rustic buildings sit among the trees at Burgdorf Hot Springs near McCall, ID. Light snowfall softens the landscape. Comments: Rustic buildings sit among the trees at Burgdorf Hot Springs near McCall, ID. Light snowfall softens the landscape.